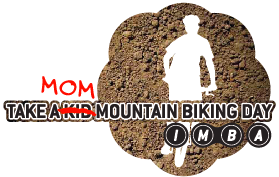 On October 5th, in conjunction with the IMBA Take a Kid Mountain Biking Day, CORBA will be having a fun ride at Malibu Creek State Park at 9:00 am. This will be a ride followed by a barbecue. All ages are welcome! If the kids are too young to ride, feel free to bring a bike trailer or trail-a-bike and tow them along. These can be your own kids, nieces, nephews, friends kids, neighbor kids... Kids must have their own bikes and helmets. There will be a few different ride options for different age groups. Feel free to participate even if you don't have any kids to bring. Please register online in advance so we know how many people to expect - Thanks!